Mix and serve your honey with this cute and functional silicone honey dipper. The silicone honey-comb shape dipper will help you dip and spread your honey. 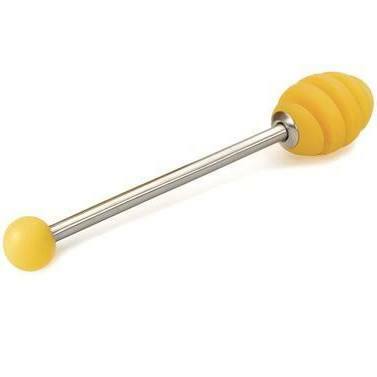 The durable stainless steel handle makes this tool a long lasting addition to your honey pot. Dishwasher safe. 6" long.